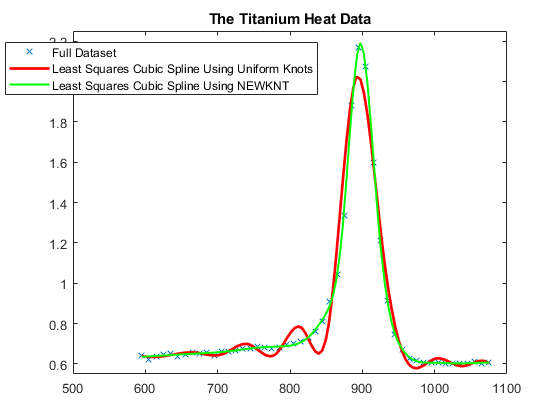 This example shows how to select and optimize knots using the optknt and newknt commands from Curve Fitting Toolbox™. Here are some sample data, much used for testing spline approximation with variable knots, the so-called Titanium Heat Data. 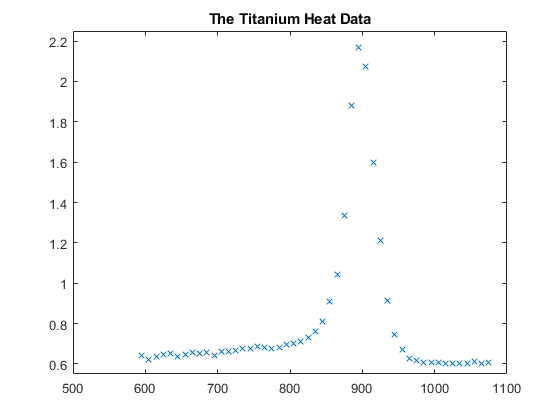 They record some property of titanium measured as a function of temperature. Notice the rather sharp peak. We'll use these data to illustrate some methods for knot selection. First, we pick a few data points from these somewhat rough data. 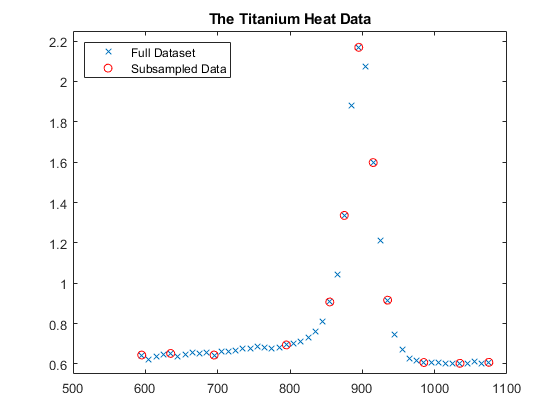 We will interpolate using this subset, then compare results to the full dataset. A spline of order k with n+k knots has n degrees of freedom. 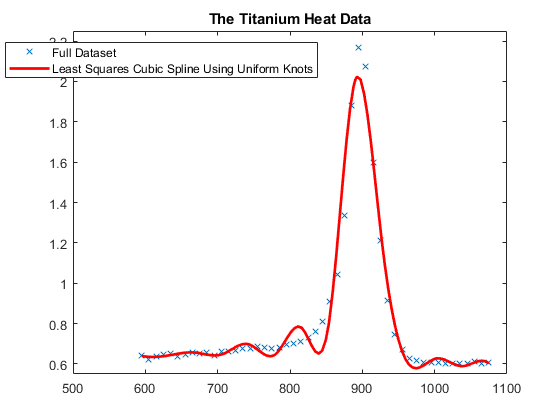 Since we have 12 data sites, tau(1) < ... < tau(12), a fit with a cubic spline, i.e., a fourth order spline, requires a knot sequence t of length 12+4. with equality allowed only in case of a knot of multiplicity k.
One way to choose a knot sequence satisfying all these conditions is as the optimal knots, of Gaffney/Powell and Micchelli/Rivlin/Winograd. say, the knots are chosen so as to minimize the constant in a standard error formula. 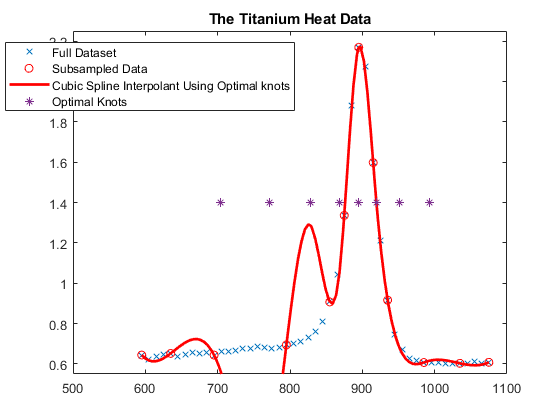 Specifically, the first and the last data site are chosen as k-fold knots. The remaining n-k knots are supplied by optknt. to be tried, the default being 10.
for all splines f of order K with knot sequence TAU. (tau(i), y(i)), for i = 1, ..., n.
This is a bit disconcerting! as small as possible, where the numerator is the norm of the interpolation error, f - If, and the denominator is the norm of the k-th derivative of the interpolant, D^k f. Since our data imply that D^k f is rather large, the interpolation error near the flat part of the data is of acceptable size for such an `optimal' scheme. Knots must be selected when doing least-squares approximation by splines. 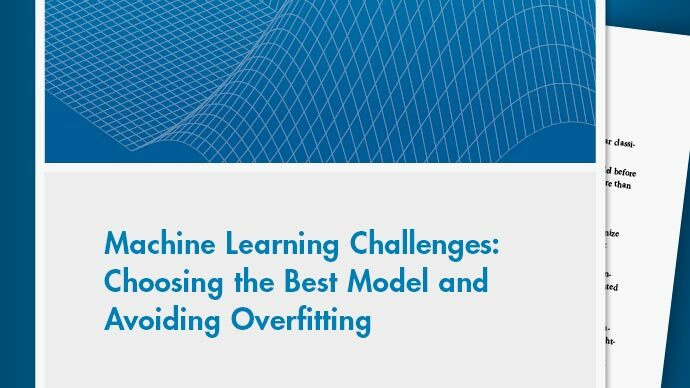 One approach is to use equally-spaced knots to begin with, then use newknt with the approximation obtained for a better knot distribution. 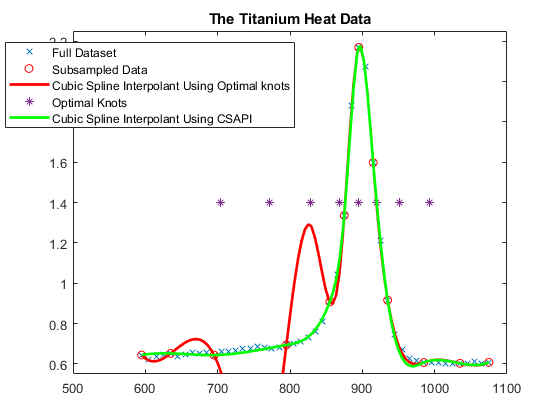 The next sections illustrate these steps with the full titanium heat data set. We start with a uniform knot sequence. This is not at all satisfactory. So we use newknt for a spline approximation of the same order and with the same number of polynomial pieces, but the breaks better distributed. This is quite good. Incidentally, even one interior knot fewer would not have sufficed in this case.